Super Smash Bros. Ultimate has completely obliterated series records where roster counts are concerned. There will be 74 characters at launch, with even more coming post launch. To help you get reacquainted with some of your favorite characters, and to help you try out new ones, we’ve been busy putting together Super Smash Bros. Ultimate Character Guides for every fighter in the game. This Super Smash Bros. Ultimate Zelda Guide, we’ll be taking a look at the princess of Hyrule herself. We’ll take a look at the alternate costumes, Changes, Final Smash and more. 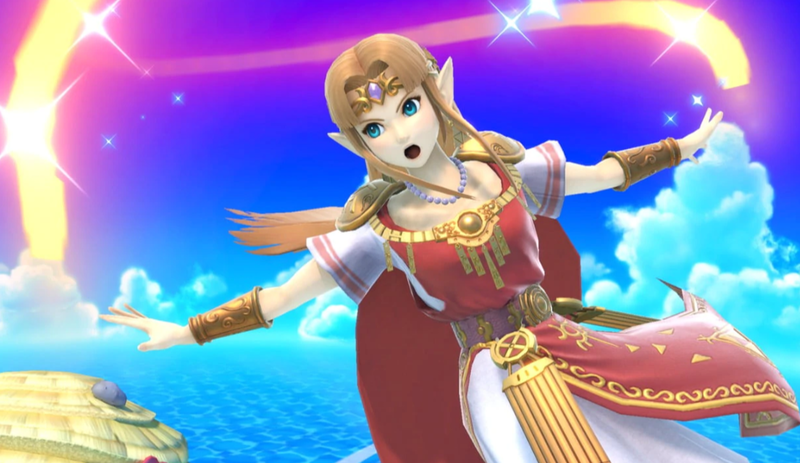 Zelda has seen a ton of changes in the new Smash Bros. game. Everything from appearance, to moveset has been tweaked slightly, and with so much going on it can be tricky to pin down exactly what has changed. Let’s take a look. 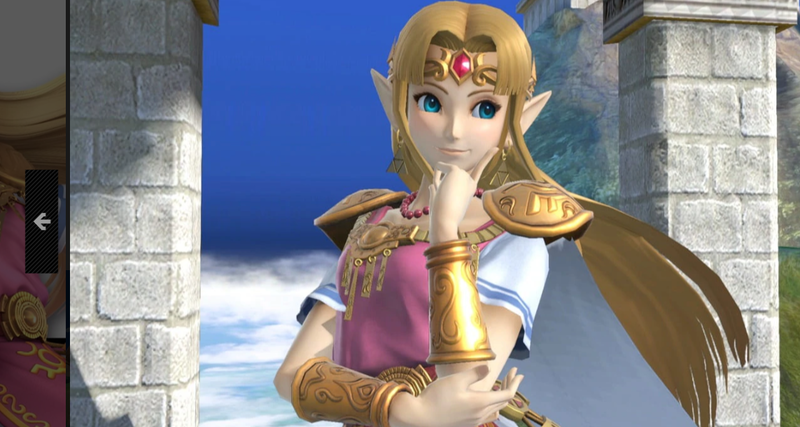 Princess Zelda brings some flair to Super Smash Bros. Ultimate, featuring a variety of moves that you can find in the table below. We’ve also included Triforce of Wisdom, the Final Smash move for Zelda. Zelda has a number of alternate costumes that players can use. They appear to be largely the same as the ones used for SSB4. They include pink, red, blue, purple, green, black and light blue variants of Zelda’s main dress. We’ll be updating this guide with images once the game is out. 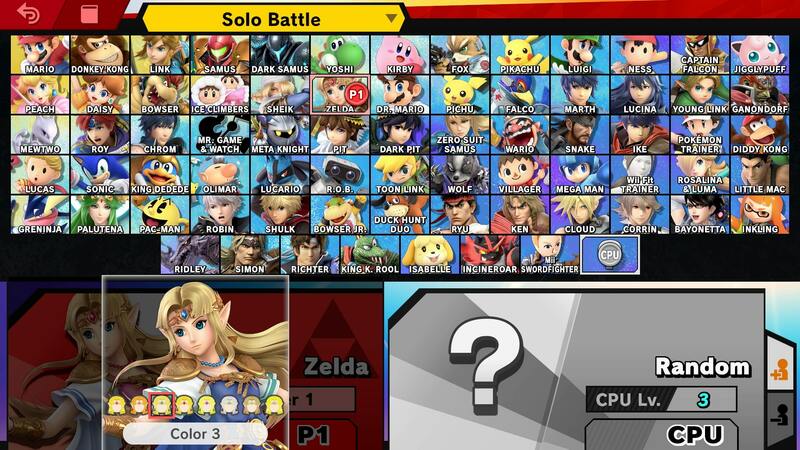 As we’ve mentioned already, Zelda has a brand new Final Smash for Smash Bros. Ultimate. It’s called Triforce of Wisdom, and sees a giant glowing triangle appear on screen. Nearby enemies are sucked in, and damage is dealt. You can check out Triforce of Wisdom in the video embedded at the start of this article. That’s everything we know about Zelda in Super Smash Bros Ultimate. We’ll be adding more info as we get it, but in the meantime you can head over to our Super Smash Bros Ultimate Guides Hub for more info on the game.